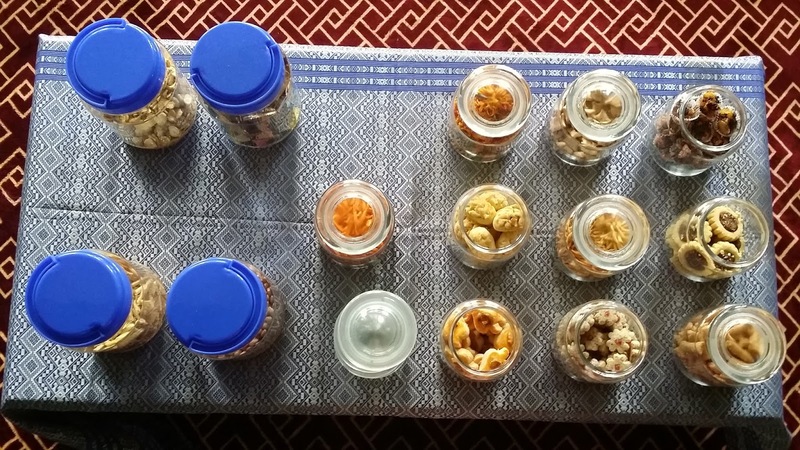 This year we made 5 types of biskut raya, which is a record. It has been years since we last make biskut raya. Usually we would just buy or make them after Hari Raya, when people start coming to our house. Our biskut raya for this year; tat nenas (gunting), tat nenas (terap), bangkit kelapa, biskut gajus, cornflakes madu. 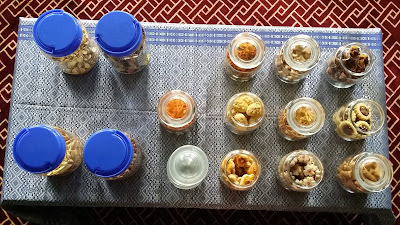 The rest in the closed jars are simply kerepek-kerepek my in laws gave me. Hehe.